Diehard Spider-Man fans will swear up and down that there’s no way to make a movie about Eddie Brock and Venom without Peter Parker, but that’s really not the case. Sony’s upcoming Venom standalone movie is the perfect opportunity to prove that the character can be much more compelling and nuanced when it’s anything other than a Spider-Man villain. 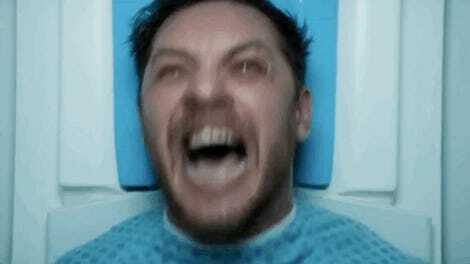 Venom also has the potential to straddle two genres in a way that other comic book movies are rarely able to do well. Despite its titular antihero’s penchant for murder and cannibalism, Venom is a superhero movie. 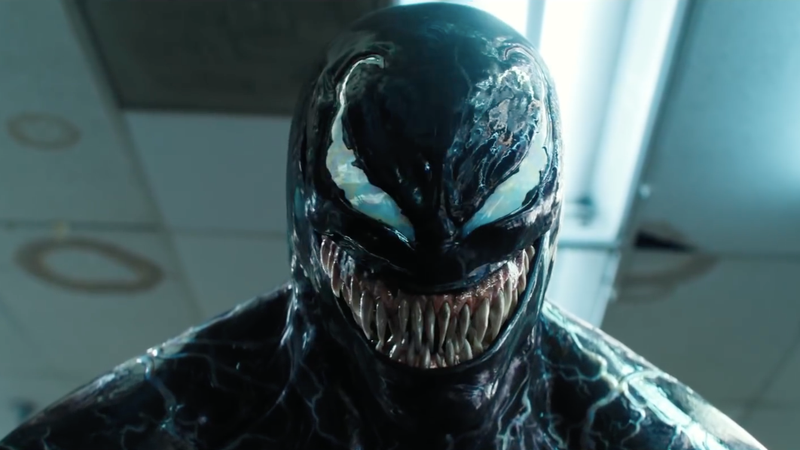 In order for it to truly be a successful film, though, Venom really needs to be a horror film, too—and not just any horror film. Venom should be a horror film where the monster ultimately wins and the audience is left feeling ambivalent about how to feel...other than terrified. From the looks of it, Venom significantly reworks the character’s origins in order to get around the tangled legal web that comes along with Spider-Man’s big screen appearances. Rather than having gone through the traumatic experiences of bonding and then breaking apart from Spider-Man, Venom’s symbiote appears to arrive somewhat fully formed before it first meets Eddie Brock, who of course becomes its unwitting host. While this is a significant deviation from Venom’s comics origins that might make purists shudder, it actually makes for a nifty premise for a horror movie. Weirdly-accented man meets monster, monster possesses the man, the two go on a murder spree, and the man is helpless to stop himself from going along for the ride. The complicated, dysfunctional, codependent relationship Eddie and Venom have is by far the most fascinating thing about them. In Eddie, the symbiote sees an opportunity to move through the world freely, indulge its murderous desires, and most importantly, to defend itself from harm. For Eddie, Venom offers access to power and strength and a kind of security in himself that his classic tough-guy attitude often obfuscated. Together, Eddie and Venom are stronger and better off, but at the same time, there’s an inherent horror to their relationship that’s undeniable. The Venom symbiote having a chat with Tom Hardy’s Eddie Brock. Venom delights in killing people—eating people—and while it may at times bring out the hero buried deep in Eddie’s heart, it also brings out a darkness in him that’s an integral part of the whole concept behind Venom. A Venom film that’s focused more on the very beginning of Eddie and the symbiote’s relationship, when Venom is at its rawest and most primal, would be something unlike any other comic book movie. It would be cool to follow along as Eddie gradually realized that the sickening nightmares he’s having about stalking and killing people for sport aren’t just dreams. Regardless of whether it’s acting as a villain or an antihero, Venom is a monster above all else, and any film built around the character should emphasize that from beginning to end. Monstrosity here, though, isn’t something that can be solely defined by physical appearances. Fangs and tongue aside, the thing that really makes Venom scary is that once the symbiote bonds with a host, it takes them to a dark and dangerous psychological place where they have to grapple with the fact that they like what they’re doing together. It’s not often that we see movies from the villain or monster’s perspective that also implore us to actively root for them. But it’s that idea that makes the Venom comics so good. The character is the hero of its own story, but to everyone around it (and to readers), it’s every bit the nightmare that makes the world view it as they do. Filmgoers will likely come to see Venom as a force to be reckoned with who’ll be back in a sequel (and maybe a Spider-Man crossover). What better a way to make a statement about Venom’s magnitude than expressly framing it as the monster who defeats the heroes in its first outing? Two symbiotes tearing into one another. Carnal satisfaction is also a rather big part of Eddie’s dynamic with Venom, and that’s something that could make Venom much more unsettling. 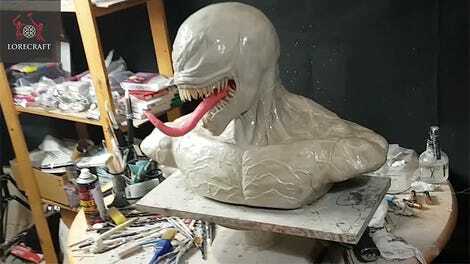 In focusing more on Eddie and Venom’s descent into monstrosity and the local authorities trying to find a way to stop Venom’s rampage, a more horror-centric Venom film would set it apart from other dark, more adult comic book movies, and lay the groundwork for a full-on Venom franchise. It’s still a little unclear just what kind of universe (or universes) Sony’s trying to build out with all of the Marvel IP it currently has the cinematic rights to. If the studio intends to keep its properties largely separate and plans to release future Venom films, Sony’s got to make sure that it gives audiences a reason to want to come back for more. That being said, Venom seems like it’s going to be more of a by-the-numbers “monster becomes a hero to defeat other monsters” kind of film which is...disappointing. It’s not because that part of Venom’s story shouldn’t be adapted for the screen, it’s just that it doesn’t really pack the same punch if you don’t really have a history with Venom on his own. Sony has to be wondering whether attempting to build a franchise around a character like Venom was a smart idea, and only time will tell if it is. The idea has potential, to be sure, but it’s all going to come down to how willing the studio is to really think outside of the box.